Attract attention with full-width margins displayed on the top or bottom of your webpage. Encourage whitepaper downloads and webinar or event sign-ups without taking eyeballs away from your main web page copy. Grab your users’ full attention with web page overlays. Promote newsletter sign-ups and related content, display age verifications, and share discount codes to encourage conversions. Use pre-built templates and a custom editor to connect with users the way you want. 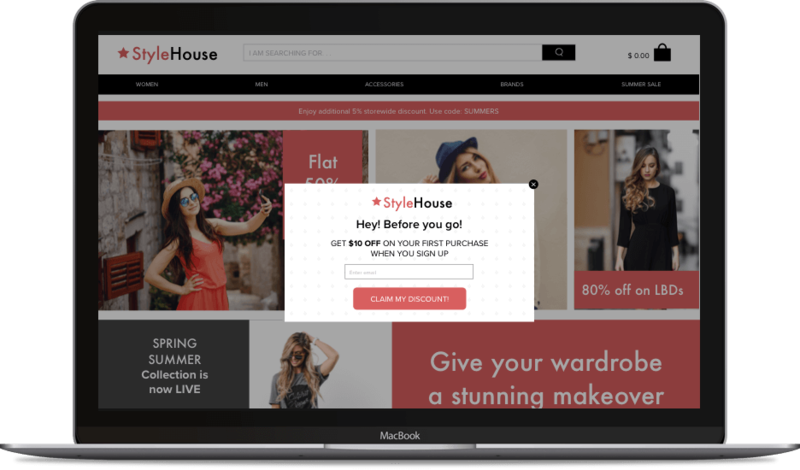 Deliver value with exit intent popups to retain users to your webpage. Present them with conversion-driven content to engage them or incentivize them to revisit before they leave.